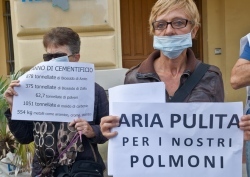 SARONNO, Italy - Say the name Legambiente, Italy’s environmental watchdog, and most people think about clean air campaigns. 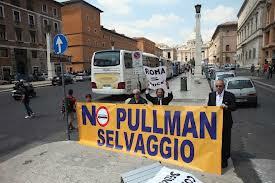 One that comes to mind is the campaign waged a few years back, quite a few years actually, by the people who live near the major tourists sites in Rome. Frustrated with the hundreds of tour buses that were parking illegally under their apartment buildings on a daily basis, they took to hanging sheets off of their balconies to show how quickly their white sheets turned black from the exhaust coming from those buses. If the city officials wouldn’t regulate the number of tour buses allowed in the area, the citizens would go public and see how well the politicians handled the bad publicity. It worked. Unregistered buses are now required to park in designated areas away from populated neighborhoods. 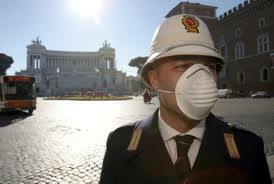 The Legambiente is also known for its yearly air quality classification of the best and worst Italian cities. This year Venice took first place in the big city category with Bologna and Genoa earning second and third place for the improved air quality in those cities. 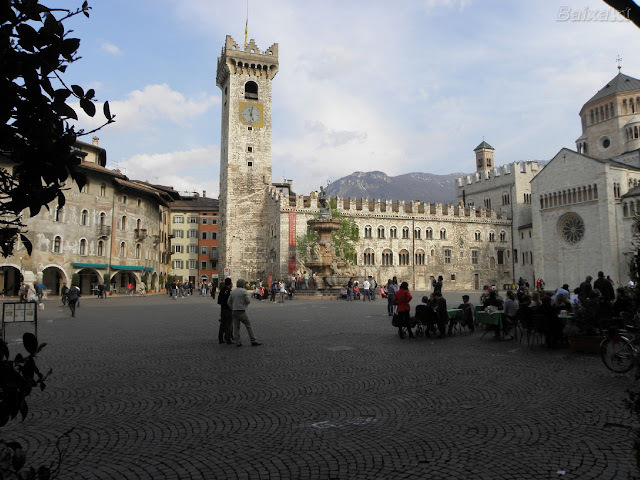 In the medium city category, Trento, the capital of Trentino in the province of Trentino-Alto Adige/South Tyrol, won by reducing automobile traffic in the city. The runners up in the medium city classification were Bolzano, also in South Tyrol, La Spezia in Liguria, Parma in Emilia Romagna and the Tuscan town of Perugia. In the small town category Verbania, on Lago Maggiore in Lombardy came in first for the best improved in air quality, while Pordenone, which is up near Trieste in Friuli-Venezia Giulia came in a close second. Mantova and Lodi, both in the province of Lombardy, came in second and third respectively. In all cases, the quality of the air in these towns and cities improved directly in proportion to an uptick in public transportation and a significant reduction in the number of cars in the city. In the large urban centers there are an average of 57 autos per 100 inhabitants; in medium size cities there 61 cars per hundred inhabitants, and 68 auto per 100 inhabitants in the smaller cities. This year’s winners did slightly better than the average. Venice has 41.2 cars per 100 inhabitants, while La Spezia and Genoa have less than 50 cars per 100 inhabitants. The cities that did not do well this year, Rome, Aosta, Catania, Frosinone, L'Aquila, Latina, Nuoro, Power , Isernia, Rieti and Viterbo Vibo Valentia, have a higher rate of more than 70 auto/100 inhabitants. 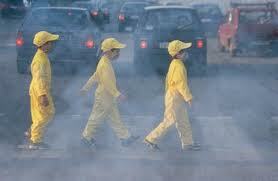 While I was glad to see the Italians starting to do something about air pollution, they still have a long way to go. In a survey of 17 European cities, based on nine categories of measures which can reduce soot emissions and help improve air quality, Berlin finished first. Stockholm, Copenhagen, Vienna and Zurich were next, while Milan and Rome were last on the list. The purpose of the European ranking was not to measure the reduction potential but to highlight the best clean air practices and assess which of the 17 selected cities made the most use of them. The categories of measure used in the ranking were selected based on their potential to reduce particulate matter (PM10), which is a pollutant regulated under European Union law. This means that its concentrations are closely monitored and that the commitment to reduce them is the major motivation behind most cities’ air quality strategies. Of course auto emissions are not the sole source of bad air and the resulting global warming. The sources are many. Unfortunately it sometimes it takes a disaster like Sandy to remind us just how responsible we all are to what happens to this planet, and I hope the Italians continue to move forward in this initiative.